WASHINGTON — Arizona Republican Rep. Martha McSally, a former Air Force pilot who lost her Senate bid in November, will serve in the upper chamber after all. On Tuesday, Arizona Gov. Doug Ducey announced he will appoint McSally to the seat currently held by Republican Sen. John Kyl and formerly held by Navy veteran Sen. John McCain. Kyl is set to step down from the role at the end of the year. “All her life, Martha has put service first — leading in the toughest of fights and at the toughest of times,” Ducey said in a statement. “She served 26 years in the military, deployed six times to the Middle East and Afghanistan, was the first woman to fly in combat and command a fighter squadron in combat. When the next Congress convenes in January, 95 veterans will be among those serving in the House and Senate. McSally, a former combat aviator who was one of the highest-ranking female pilots in service history, currently serves on the House Armed Services Committee, and has been a vocal defender of preserving the Air Force’s A-10 fleet as well as an advocate for opening combat roles to female troops. In November, she conceded her bid for the state’s other U.S. Senate seat (currently held by Republican Sen. Jeff Flake) to Democratic Arizona Rep. Kyrsten Sinema, after a recount showed her losing by about 40,000 votes. Almost immediately after that loss, speculation began about whether Ducey would tap her to replace Kyl. Now, the two election rivals will serve together in the Senate. 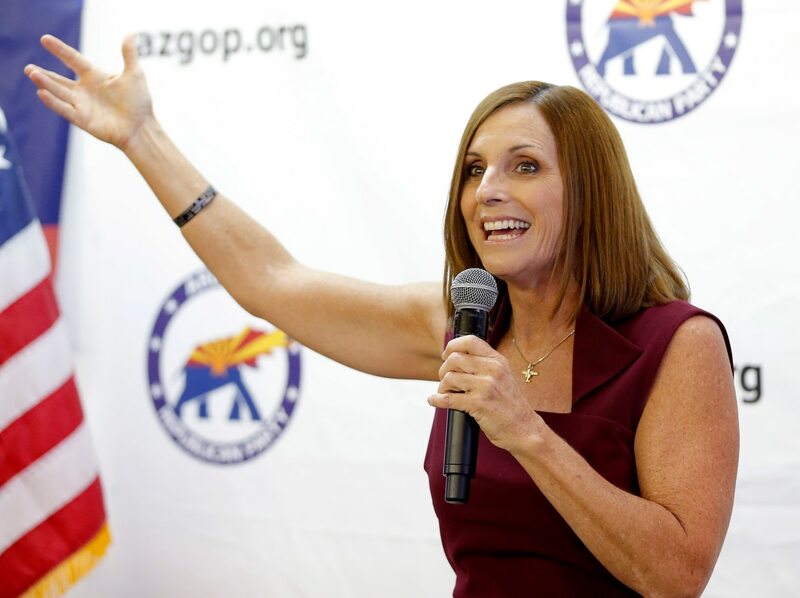 The timing of McSally’s swearing in was not made immediately clear. If she takes the oath before the newly elected senators are sworn in on Jan. 3, she would hold seniority over Sinema. But McSally will also have to run for re-election again in 2020, most likely on the same ticket as President Donald Trump. McSally defended several Trump moves during her recent campaign, including the decision to deploy active-duty troops along the southern U.S. border. McSally’s appointment brings the number of female veterans in Congress to an all-time high. Four female veterans will serve as Democrats in the House in the 116th Congress, and McSally will serve alongside Sens. Joni Ernst, R-Iowa, and Tammy Duckworth, D-Ill. The move also brings the total number of veterans set for the 116th Congress to 96, a drop of six from the start of the 115th Congress.